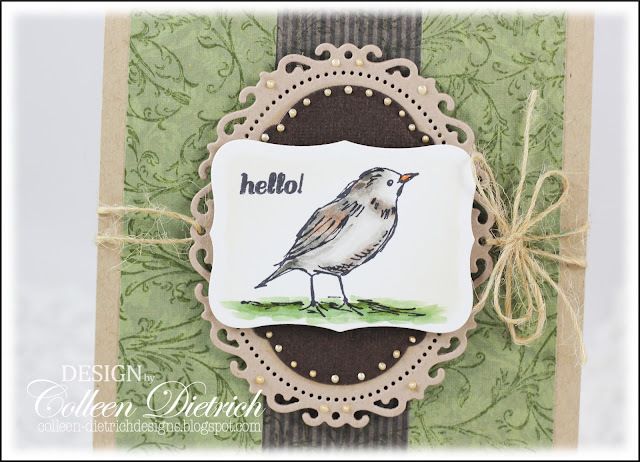 This sweet little bird from Natural Beauty, an older set from Stampin' Up!, was waiting in my box of stamped images. I colored him with Copics, trimmed with a die cut, and stamped a sentiment from Inspired By Stamping's Creative Tags in the corner. That was layered onto two more die cuts, and the frames decorated with Liquid Pearls and tied with some twine. One of my fave background stamps is also an old one from Stampin' Up! : Filigree. 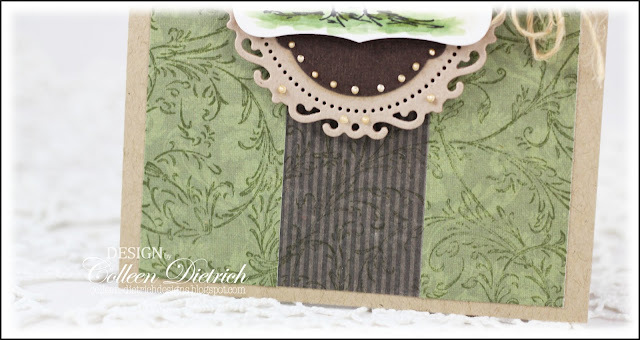 After assembling two pieces of patterned papers from K & Co., I stamped Filigree in Old Olive over both of them. You can see it best in the photo below, since it's not as visible on the brown striped paper. Beautifully framed image and just love the touch of twine! WOnderful card !! I loved the arrangement of image on diecuts and stamping on pp ! This is one of my favorite stamp sets of all time and I have always loved that bird! You made him look so fresh and new and cool here! I am going to have to dig out my set this weekend now. Your frame and papers are so wonderful! TFS! Hugz! This is gorgeous!!! LOVEEEEEEEEEE the colors and that bird!!! How nice to wake up with a 'birdie' hello this morning. Such a pretty, stamped bg and lovely card. Beautiful card Colleen! Love this birdie! Gorgeous card! 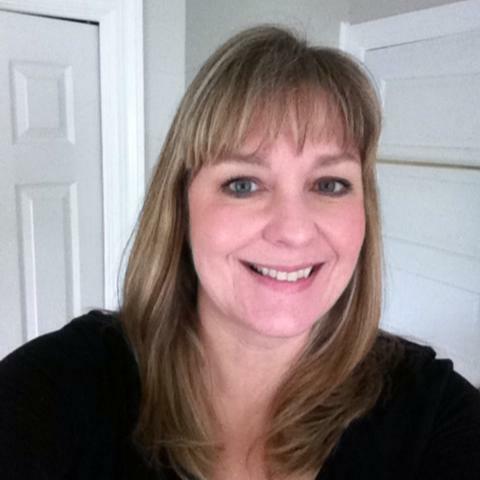 Love the earthly colours with the twine and the lovely frame, Colleen! Your coloring is so fabulous, love the beautiful colors you used and the dp is so perfect for this. I'm a bit envious of your liquid pearls. They are perfect. For some reason, mine always collapse, lol. This is beautiful. I love the bird image and how you've rendered his colors. It love it. Oh my this is gorgeous! Love, love, love this card. 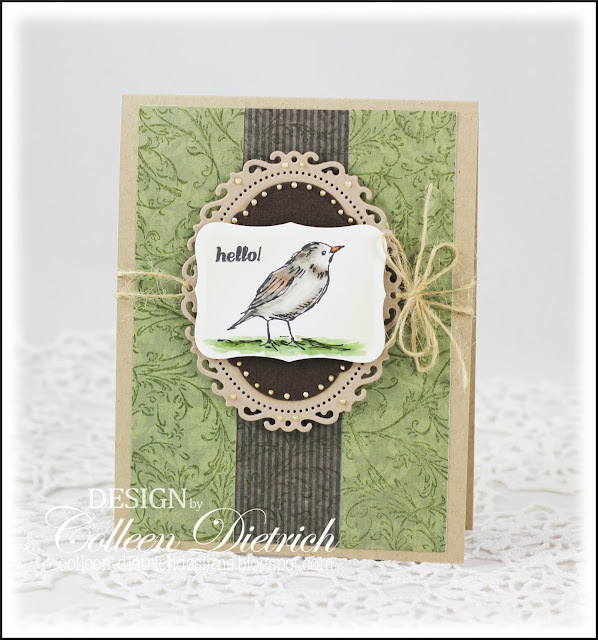 The stamping in the background, that birdie, the colors...just gorgeous! Oh wow. Such a classy card! Now that is just so pretty! I would never have thought that the rectangular tag would look so good over the oval frame,but it does!!! Beautiful card, Colleen! Those liquid pearls are such a FAB detail on your PRETTY card, Colleen! 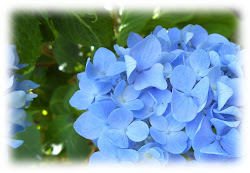 I love using up those stamped and filed away images. I'm working on it. This birdie is so sweet and pretty. I do love birds and all nature images. The Filigree looks so pretty on the DP. I still have that stamp, too, along with all the other SU! BG stamps I collected. This was one of my favorites. A very warm and pretty card, Colleen! You framed this beautifully with that gorgeous die. It makes the bird feel wistful and retrospect. Love your gorgeous work.